Our Marine Operations Manager, Dave Talloen, witnessed a safe Offloading on Western Isles FPSO this week in fine weather conditions. 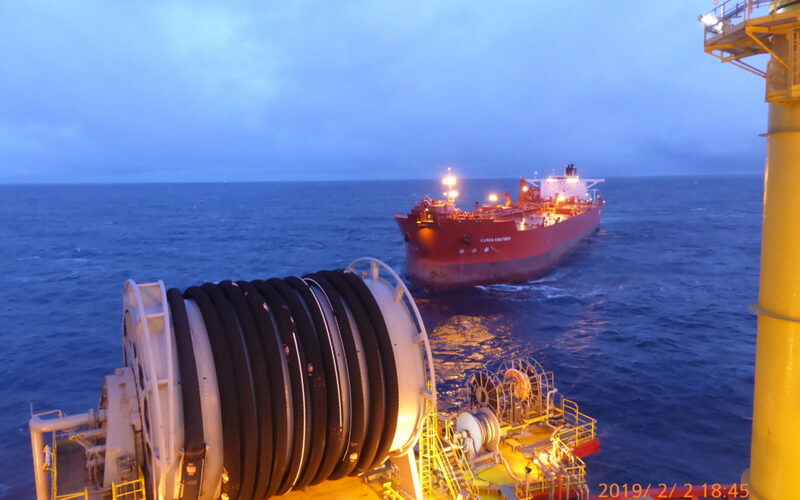 Dave was onboard to assist the FPSO crew with checking the mooring system status and perform a chain refreshment and adjustment with onshore assistance from Sevan SSP’s Lead Marine Analysis, Einar Glomnes. General feedback from the crew was that they are extremely happy with the operation and motion characteristics of the Sevan SSP FPSO.